This thought-provoking article makes some really good points. I am so glad my pastor, Derrick Golden, shared it on his Facebook page. Because… it saddens me (but doesn’t surprise me) that I wasn’t yet aware this was even a consideration or discussion. I am praying for healing from mass cluelessness in my country… especially among my race. Scales need to fall off eyes, minds and hearts – just like happened for the Apostle Paul in the Bible in his “Saul days” when he thought that killing Christians was a righteous thing to do. And please don’t tell me “They should just get over it” or “stuff like this rips the scab off”. That’s as heartless as telling the millions of Americans who still weep on Patriot Day over the atrocities of 9-11 to “get over it”. There is a collective mindset of accepted devaluation that needs to change before we will see impactful and lasting change in this country. Let me illustrate: When the New York/New Jersey bomber was taken into custody in recent days – he was shot in the leg. There is a strong likelihood that there were orders out there (and rightly so) to “take him alive if possible” because he could be holding on to valuable information about other possible plans to harm people. So… careful aim was taken in order to stop him from escaping and causing possible harm to others while preserving his life so questions could be asked. Those officers demonstrated the ability – in the heat of the moment when they had to think and act quickly – to make a decision to preserve rather than end life because there was value involved. In the emotion and intensity of that moment there was likely something in those officers that wanted to kill the perpetrator of such a horrible act against other humans – but they did not because they had important questions to ask him. So I would implore officers to make every attempt to use non-lethal force. That way, there will be the opportunity before any triggers are pulled or other potentially tragic actions taken to ask two valuable human beings (yourself and the person entrusted to your protection) this important question: “Is anything being done that justifies such a drastic response or are assumptions being made based on appearances and preconceptions?”. 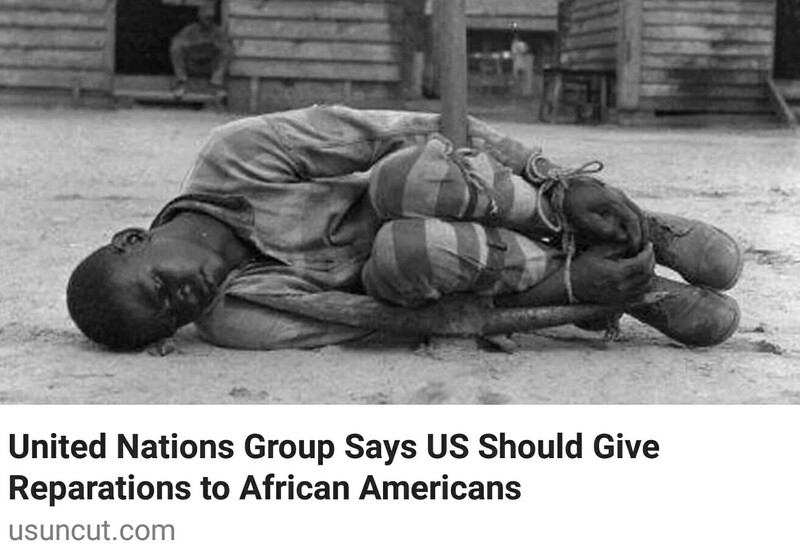 Now, are the reparations in the article the answer? I honestly don’t know. I mean… how can I know? I – and many who share my skin tone – haven’t even been asking the the right questions… or even thinking much about this important issue at all, for that matter. So we shouldn’t be claiming to have any answers. But we should begin listening to the questions many broken hearts are asking.